Calling all beaders, metalworkers, hobbyists, and jewelry designers! 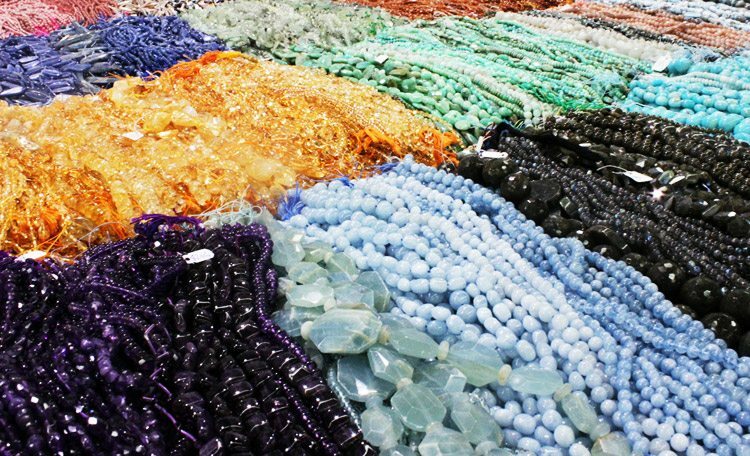 The JOGS Tucson Gem & Jewelry Show is the best place to pick up supplies for your work, from beads and cabochons to loose gemstones. Buy materials directly from manufacturers, miners, and wholesale companies at the lowest prices! 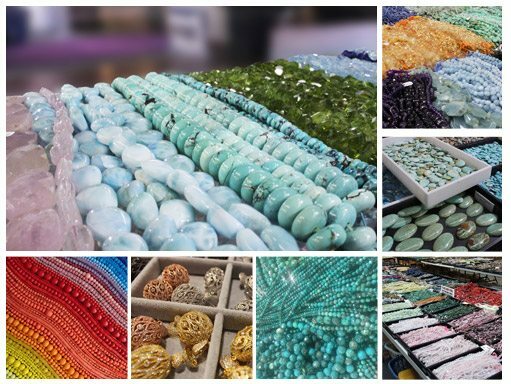 One of the best parts about shopping at the Tucson Gem Show for supplies is the ability to ask direct questions to our exhibitors – and they’re happy to answer! Aren’t sure what kind of stone that cabochon is? Want to know if a stand of beads is dyed or natural? Just ask! A huge variety of quality is available at the show, whether you are looking for discount deals or high quality turquoise or tourmaline. JOGS Exhibitors are some of the most friendly and most knowledgeable vendors in the industry. What can you find at the Show?